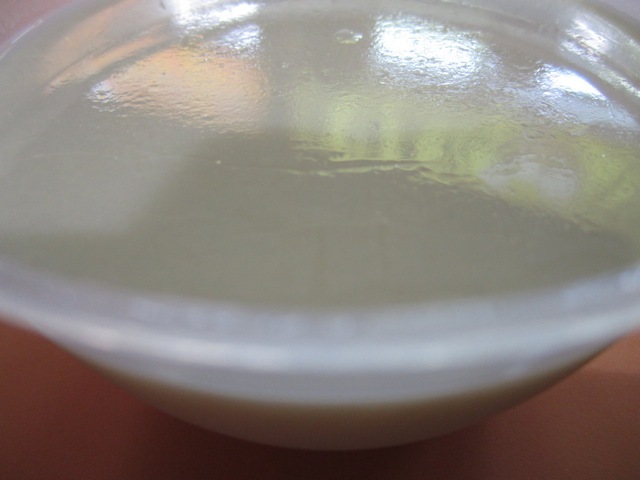 Heard quite a bit about this beancurd which is more like chilled custard than beancurd. But when the first spoonful hit my tastebuds it brought back the beancurd I had as a little child for breakfast. It was reminiscent of that taste. But I have to say it didn’t quite capture it. The childhood beancurd didn’t taste as light as this one did. Maybe it was the golden haze of childhood which makes everything else pale in comparison. Anyway, the beancurd from the past still won out. 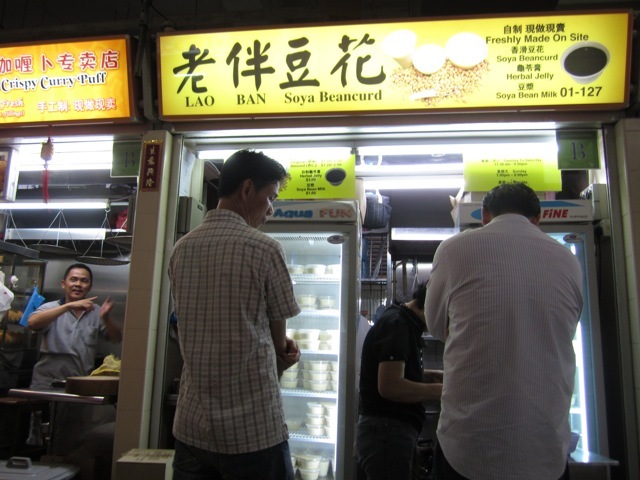 Also my brain recalls a warm version and Lao Ban serves it chilled. Read a review by a fan of this pudding like dessert. This was another place I went to some months ago and totally forgot to blog about. I guess that was the time I neglected this blog as I was caught up with my other blog – Singapore Actually – and the Elections fever. There is a constant queue outside this stall, so you can’t miss it. 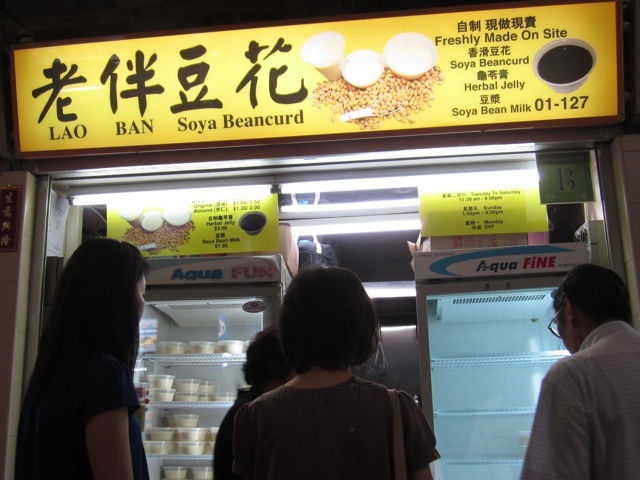 This entry was posted in Food in Singapore and tagged beancurd, culture, custard, Food, hawker, hawker centre, Lao Ban Soya Beancurd, Life, Living, Nostalgia, old airport road, personal, photography, photos, Singapore, stall, travel. Bookmark the permalink.